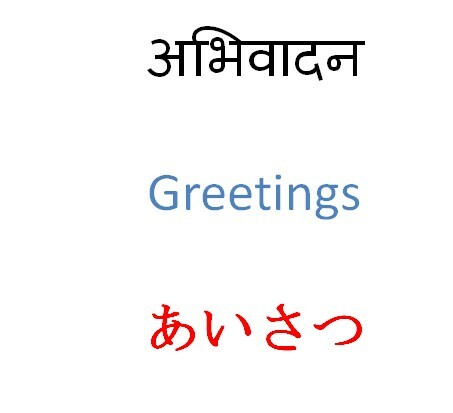 JLPT N5 Course in Hindi,Greetings Module: This Module teaches you various greetings in Japanese which are used in the day to day life. JLPT N5 Greetings- We shall learn various phrases and ways to greet people in different situations. Right from wishing people in the morning, afternoon or evening, to wishing them on special occasions, giving thanks, expressing regret, everything is covered. We shall learn various phrases and ways to greet people in different situations. Right from wishing people in the morning, afternoon or evening, to wishing them on special occasions, giving thanks, expressing regret, everything is covered. Along with these, we shall also be learning some phrases which are unique to Japanese culture and are an important part of their daily routine and habits, thereby giving us an insight into a common Japanese person’s lifestyle and thinking.